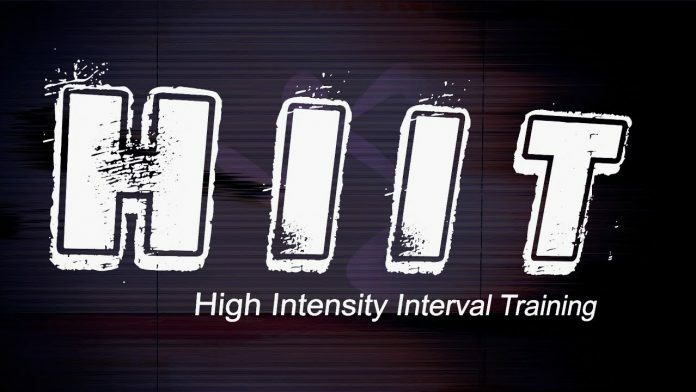 The rising popularity of high-intensity interval training is determined, first and foremost, by its effectiveness. This type of workouts includes short sessions of strenuous, high impact movements. Nonetheless, the approaches may vary. For starters, the first method embodies completing a single sprint, or other similar exercises, for up to five minutes, putting all your energy into the exercises. There’s also a traditional approach, which includes short sessions of exercises alternated with gentle, less extreme movements. Even though HIIT is growing in popularity, the science behind it is rather new. It has been confirmed that regular HIIT exercises enhance aerobic fitness ten times for effectively as opposed to endurance training. Nonetheless, let’s have a look at what scientists have to say about the usefulness of this type of training. Ontario’s McMaster University has taken on the mission of evaluating the efficacy of HIIT. The research involved 17 healthy young men and women, who were, afterward divided into separate groups. Day one included an HIIT workout, namely 30 seconds of high-intensity stationary cycling associated with four minutes of recovery, in-between. The following task was completing a four-minute workout. Muscle and blood samples were collected before and after these workouts. On the other side, seven volunteers performed uninterrupted four-minute exercises for three times a week, during six weeks. The researchers studied the blood and muscle samples and had drawn some meaningful conclusions. In other words, the scientists didn’t find any prevalent distinctions between the cyclists in the first group. In both scenarios, the study participants presented a post-workout rise in blood levels of certain proteins, which have a beneficial impact on the individual’s endurance. The muscle and blood samples collected from group number two demonstrated that what seemed to assure promising enhancements didn’t come into being. The muscle tissue embodied average levels of cells that produce chemicals, in comparison with a high level, which can be conveyed as an indicator of fitness. However, the conclusion was that the pulsating nature of the training is linked to promising results. Furthermore, one of the fundamental reasons HIIT is efficient is the fact that nearly identical adaptations are witnessed, by following a short-lived training session. This has been proven by a study made in 2012, by Hazell, Olver & Craig. The study clearly outlined that just two minutes of sprint interval exercises induce oxygen consumption similar to a 30-minutes endurance workout! This is an astounding benefit since post-exercise metabolism is boosted while performing HIIT in a diminished amount of time. In plain English, you exercise less and burn a lot of calories, even while resting! Research indicates that HIIT is highly recommended for fat burning. Thanks to an increased resting metabolic rate, you burn calories while resting. The science behind HIIT is the following: the focus isn’t placed on the number of calories your body burns during the workout you engage in, but its intensity is confirmed as your body’s metabolism remains activated hours after working out. This type of training enhances performance while having a beneficial impact on body composition.